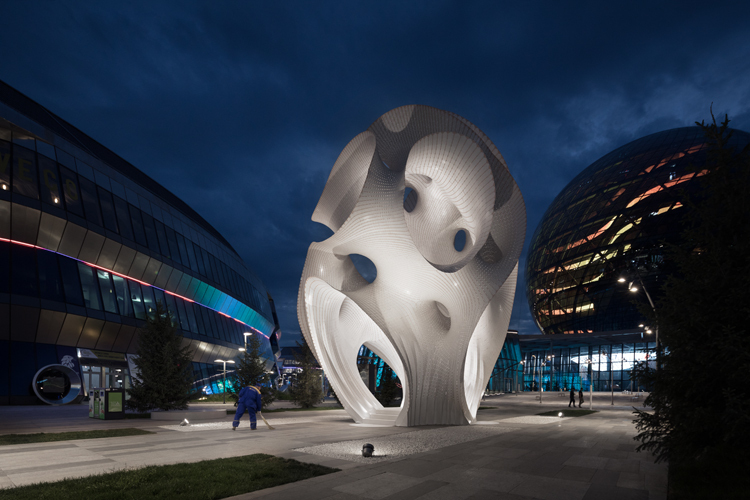 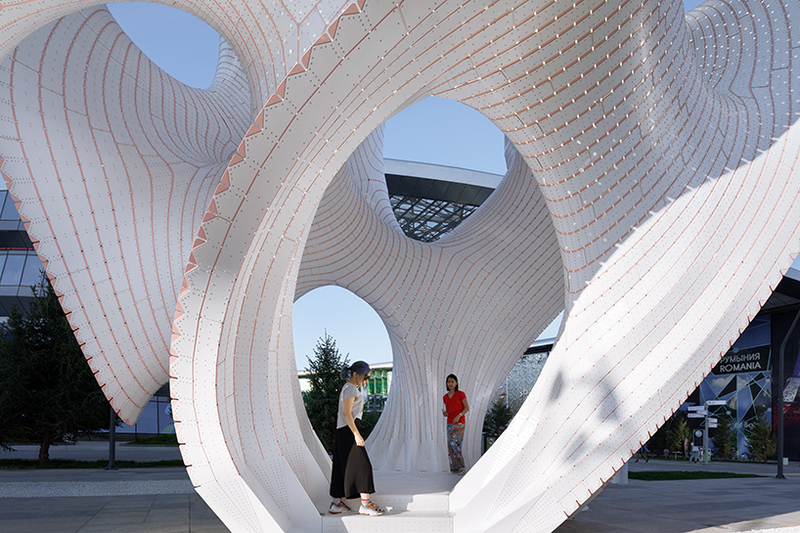 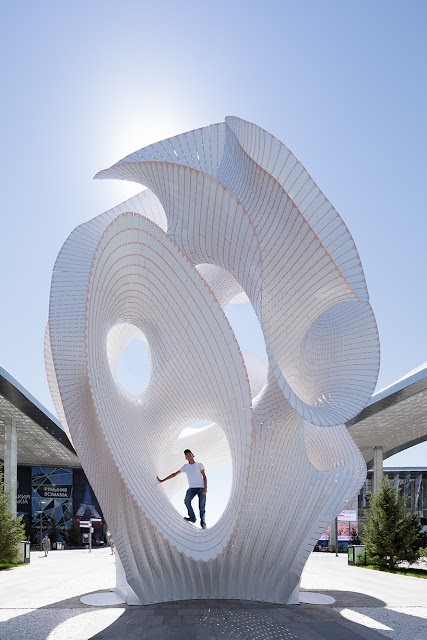 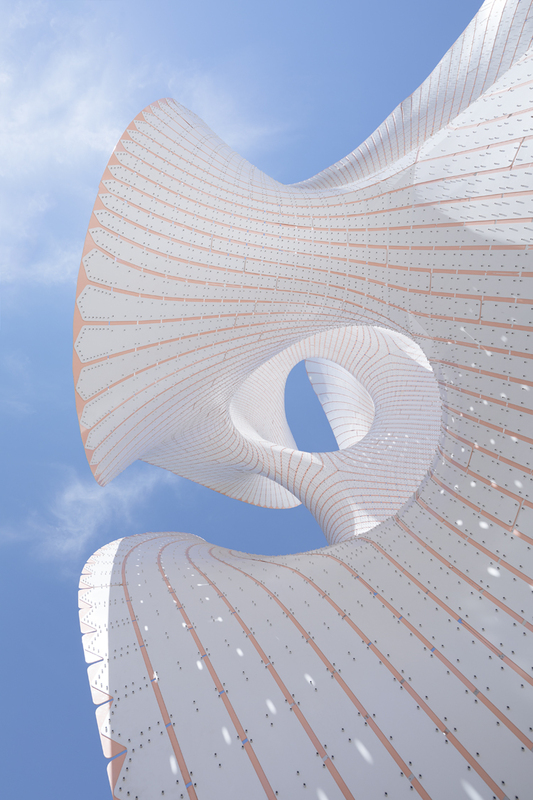 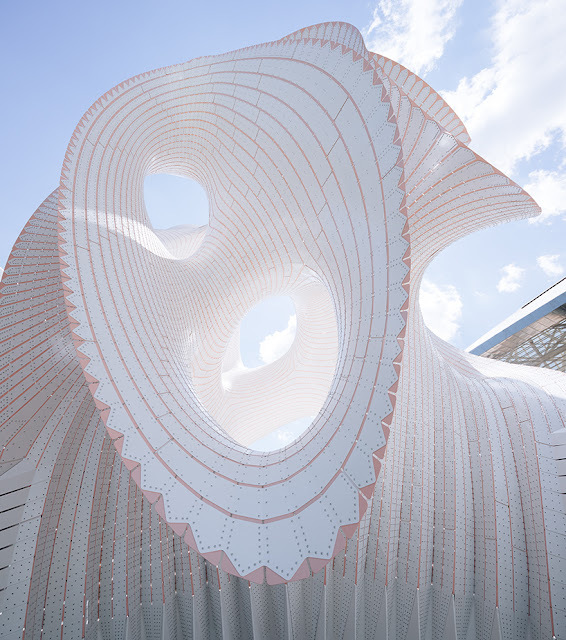 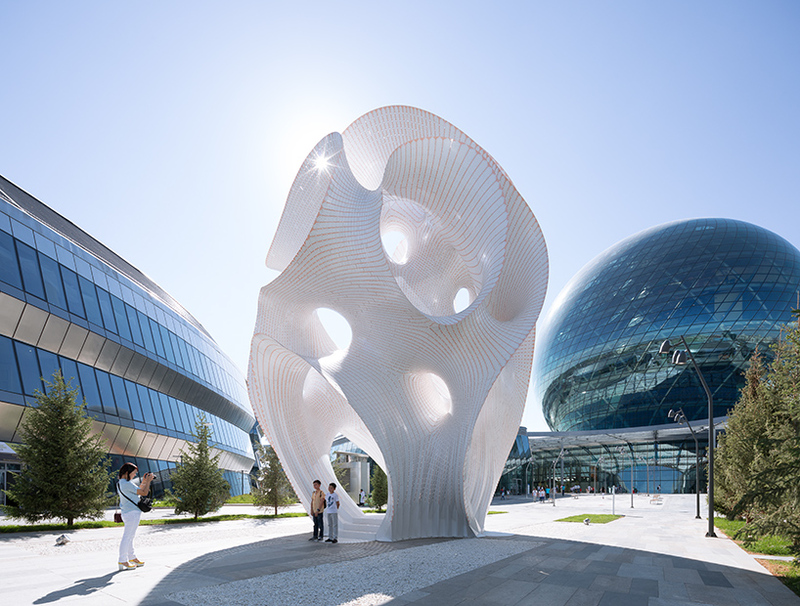 MARC FORNES / THEVERYMANY has created ‘minima | maxima’, a site specific installation made of ultra-thin powdered aluminum in astana, kazakhstan. 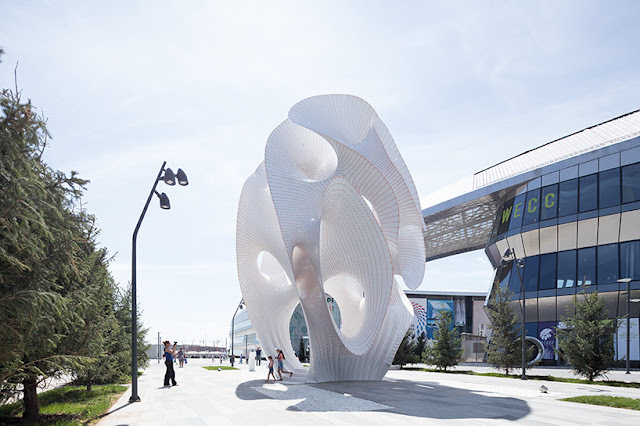 presented during the world expo 2017, the installation transports visitors into a strange, science fiction world where users can engage with the dynamic structure. 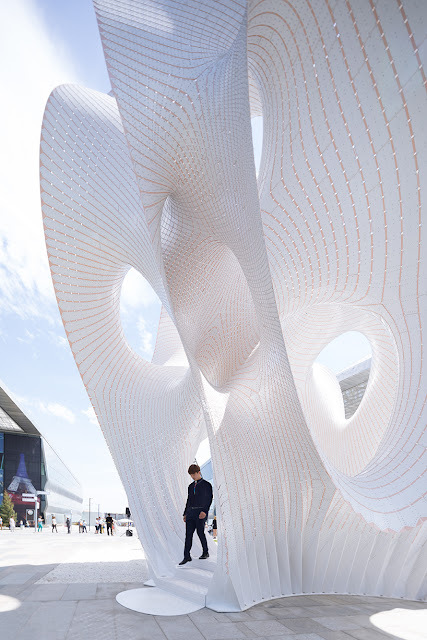 A ‘networked’ surface rolls in, on and around itself, transforming into a space that obscures our preconceived notions of enclosure, entrance/exit, and threshold, while also providing its own support to stand up. 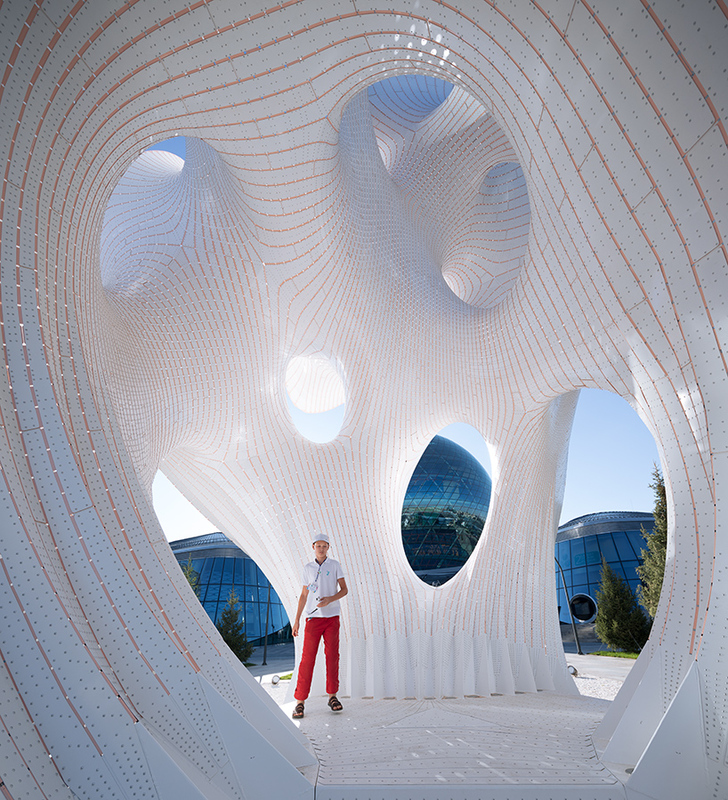 The surface is ultra-thin: 6 mm aluminum.